Is The Foap App A Scam Or A Real Way To Turn Photos Into Cash? Is The Foap App A Scam? I love to earn extra cash using my mobile and I love getting creative, but did you know with the Foap app you can do both? This little beauty of an app was launched in 2012 and it makes it possible to sell your photos for $5 a pop. But is the Foap App a scam or the real deal? And realistically how much of a money maker is it? In this Foap App review we’re going to see how you can turn those selfies and holiday snaps into cold hard cash. What Is The Foap App, Exactly? Realistically How Much Money Can You Make With Foap? The Foap App was launched in 2012 and can be downloaded from Google Play or iTunes. There’s also Foap.com which has 2 main sections – one for photographers and one for people looking to buy photos. Foap have been featured on sites like Mashable and The New York Times featuring one guy who has made $20,000 in photo sales since he downloaded the app. With a 3.8 star out of 5 rating out of 20,000 reviews and a million+ downloads Foap is proving to be a big hit among photography enthusiasts. Americans take 80 billion photos a year from selfies to sunsets and if you can share them with the world and earn an extra side income then bring it on. The thing I love the most is that through the app you can make money right where you’re at, we’ve all got our phones with us constantly so this is really a way you can make money on the go. With Foap you take the picture, publish it and you could potentially make money from that one photo hundreds of times. Once you’ve downloaded the app and created your account you can go ahead and upload some of your favourite snaps. You’ll want to add some tags to tell people what your photo is about and then you’ll be asked a few questions about your photo. One more thing that happens before they’re available for sale is they’ll be rated by 5 fellow Foapers who will confirm it’s suitable (you’ll be asked to rate other Foapers’ photos too). As long as you’re photo gets at least a 2.5 star rating you’re good to go. At this point your photos will be on sale at the Foap Marketplace for $10. Whenever one of your photos is sold $5 will go to Foap and $5 will go directly to you via PayPal. You can also take part in Foap Missions and enter your best photo entries to compete to win $100 – $300. Well, it really comes down to how much time you can put into it and the quality of your photos. Some of your photos will just sit dormant while others may prive to massively popular, you just never know. I think part of earning money with an app like this is trial and error – finding out what doesn’t work and focusing in on what does. When you’re uploading your latest pics be sure to be as descriptive as possible in describing the image and add as many relevant tags as possible to give yourself the best chance of getting your pic in front of potential buyers. This’ll give you a good idea for what companies are looking for so, if necessary, you can make changes to how you capture images or maybe spark a new idea or inspiration for your next shoot. Read the company’s job specification thoroughly and do your best to match your work with their expectations. Even if you’re not successful first time, it’s a great opportunity to try new things and get creative. The Foap app is not just an online marketplace, it’s a social media site with a community of its own. So get involved, like other people’s photos and attract a following. This will lead to ultimately more photo views, more shares and Tweets of your work and more sales in the long-term. Try not to get disheartened if you’re photos aren’t selling straight away. Just keep pushing to build out your portfolio, keep trying new things and find out what works. For more tips you might like this article from Jessica, a very successful Foaper who has successfully completed 3 missions so far. Is The Foap App A Scam? Nope, it’s the real deal! The Foap App is a legit way to make money from those photos hidden away on your thumb drive. If you love taking pictures and experimenting with new and creative photography techniques then I think you’ll have a lot of fun with this app. But if you’re looking to use the Foap app as a way to turn your passion for photographer into a full-time career you may be disappointed. While some Foapers are very successful, the vast majority will just make an extra $5 every now and then. As an income stream the Foap app probably won’t pay much as you’ll only earn money if you’re photos are published and someone wants to buy them. Try it out and see where it takes you. I think the Foap App is great for earnings an $5 here and there but it’s not meant to be a full-time earner. If you’ve got a natural creative flair for taking great photos, you’re looking to make a living online then why not give yourself more exposure by creating an internet business for yourself? Reach a wider audience, show-off your portfolio, share your passion for photography and make money in the process! Today tons of people are choosing the internet entrepreneur lifestyle through sites like Wealthy Affiliate that show you how the process of making money online works and helps get you started for free. Questions Or Thoughts Of Your Own? I hope you found this Foap app review helpful. If you’ve ever used the Foap app I’d love to hear your feedback! – Is The Ibotta App A Scam? – Is The Lucktastic App A Scam? Simon, I just saw this article and since some time has passed, wondered how you’ve fared with the app and your photography. The way of an Artist is never easy, but I hope you’ve done well :’). Hi Cassie, honestly I’ve not invested as much time into Foap as I’d like as I’ve got a lot of other projects going on (my own fault! ), but I’d love to hear how you’re doing with it? 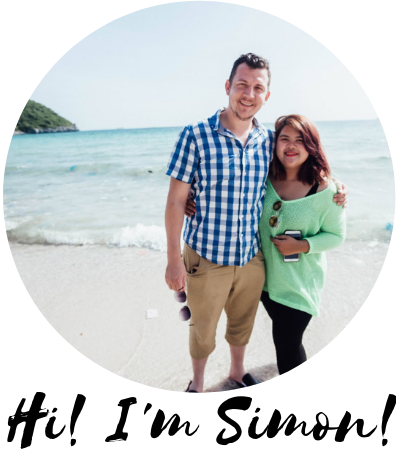 Hi Simon, As it is, I too have spent my energy elsewhere, though the concept intrigues me. I have to admit, the few online -income-making’ apps and sites I’ve tried out? And these extend to user feedback etc.? I just don’t see how someone who is seriously trying to make money, especially those with prof’l skills, can do it thru these channels. Mind you, I haven’t spent huge qmounts of time trying them out, because for me it quickly became apparent I was tapping a dry hole. So often, even those that prove legitimate, promote the hope that if you eagerly participate in many many smaller ‘projects,’ you’ll be bumped to higher-paying. I’d be curious how long that takes. I participated woth one highly-touted user feedback site for a year as a trial. And have relevant background. At least the mini-assignments were fairly interesting, but returning to reality, I think I ultimately made $4.50. And I could have done far more productive and/or interesting things with my time. I’m not sure how full-time, professional-level photographers, writers at all are making reasonable sums thru even some of the more legitimate sites. And that assumes one takes the time to check out the legitimacy before-hand. Simon, it sounds like you are getting great feedback, and I hope you’re in a position to continue doing this just because you’re good and you love it. Though heres to you both being appropriately rewarded for doing good, true work :’). I have to agree with you Cassie. I have reviewed hundreds of these online survey sites, reward sites and mini task apps and most of them are more time-consuming than you think at first. As you say, if you’re not careful you could end up pouring hours of your time and end up with very little to show for it. Your encouragement means more to me than you know. I’m just a normal guy who after being scammed many times finally found a way to earn a legitimate online income and now I can volunteer full-time in Thailand because of it. So now I spend some of my time helping point others in the right direction, steering them away from dodgy scams. I downloaded the Foap app a few months ago and I’ve uploaded a few dozen photos since then. I wouldn’t call myself a pro photographer but I like to try and take interesting photos. Some fo my photos have got some really good reviews but I haven’t sold any yet but here’s hoping! Hey Sean, thanks for your feedback. Keep us updated and let us know if you do manage to make any money from it.